The Recovering Fat Chick: Let's Talk Face to Face...And... A Challenge! 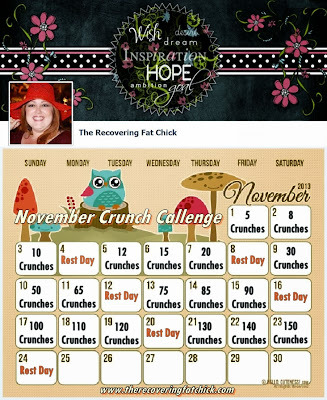 I have also announced a "Crunch Challenge" on my FACEBOOK page and I'd love for you to join us... it starts tomorrow!! You are a fantastic example of a fantastic peron doing something fantastic for her-own benefit for a change WELL DONE! KEEP IT UP!